Probably by now you’d seen many blogs with a “donate” button, or “buy me a coffee” button. It’s not a bad idea: after all, a blog that informs and entertains you, and has no sponsors, is a great service. Buying its author for a coffee doesn’t seem too terrible. But what if I buy you 10 after you buy me one? That’s right: I am not talking about an interchange of information for coffee, but something that on the long run turns into something good. Currently I work at Advertile Mobile GmbH. 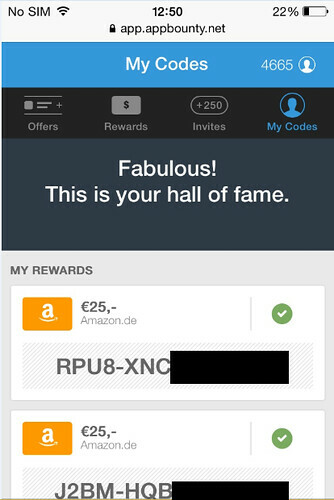 It is a company that gives away gift cards just for trying out free apps. A simple model that adds value. I have already cashed a couple of gift cards mysel. If you’d like to help out the blog, and also get something for yourself (or someone you love), you can use it too. 1.- If you are on your phone or tablet, click here. 1.1 If not, go to appbounty.net on your phone and when prompted for an invite code put 12345 to get extra free credits (the easiest ones to get). 2.- Follow the on-screen steps and download the app (called “BountyBucks” for iOS, and “AppBounty” for Android). 3.- Once opened, follow the steps and you’ll see a list of free apps and a number of credits next to each one. Download and open them to get credits. 4.- Exchange your credits for the Gift Card you want. The best part? It works worldwide. Easy. I get a coffee for me (actually, less than a coffee) and the number of coffees you want with Amazon or others. That being said, if you want to contribute to Big in Finland, my PayPal address is the same I have on the “contact page (the one on the top)“. 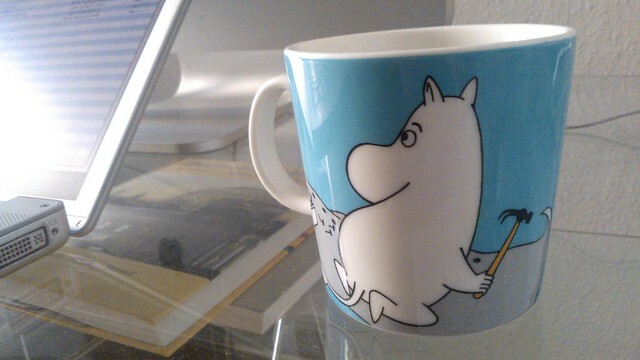 And I write this while I am having a coffee on an Arabia Moomin mug. Easy.